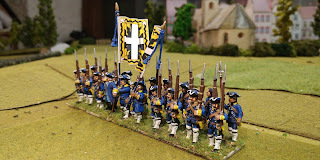 I found some more figures so have decided to add two battalions to my Piedmontese in anticipation of a game this summer. 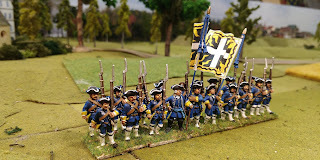 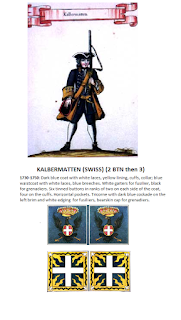 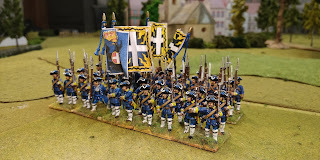 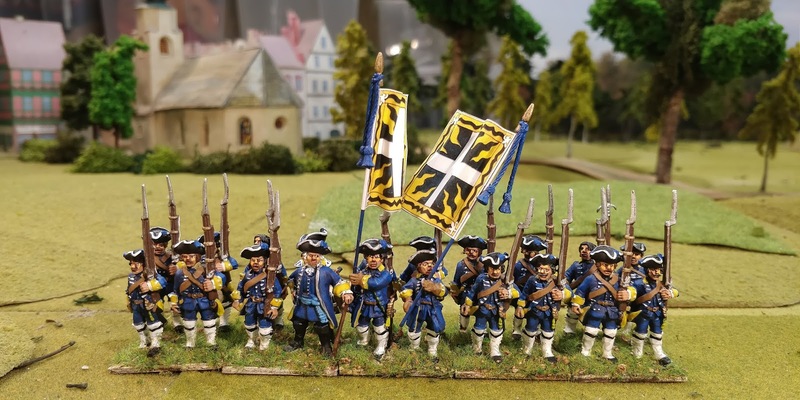 As I have already done 12 battalions and these were all 1st battalions, I have decided to add a second battalion to Regiments Kalbermatten and to Keller, both Swiss units in Piedmontese service. The first battalion was painted back in December 2015. As I used remnants of figures left over they are from a variety of manufacturers so there are some wide uniform variations which I don't mind. The bottom picture shows both battalions together.